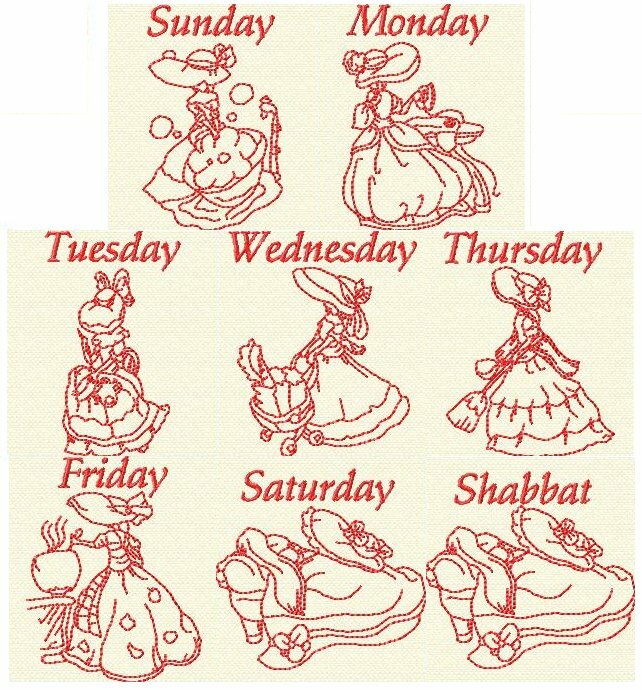 Do you like the traditional Days of the Week designs you see on other sites, but the days don't correspond to a Jewish calendar? These ladies work all week and take Shabbat on Saturday as their day of rest! 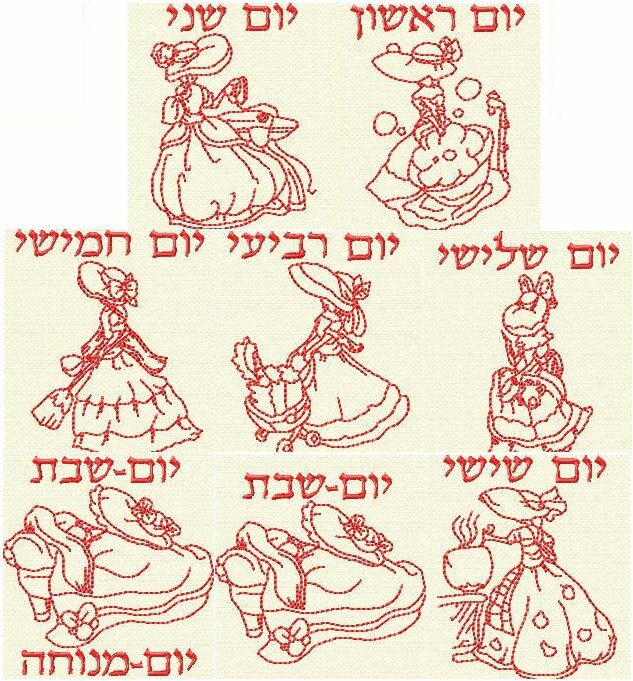 All designs fit the 4x4 frames and come with English wording, Hebrew wording and without words!